How to change the servo drive? The safety card is inserted, from above, in the card slot marked “safety” in the servo drive. Loosen the screw carefully. Carefully pull on the screw. 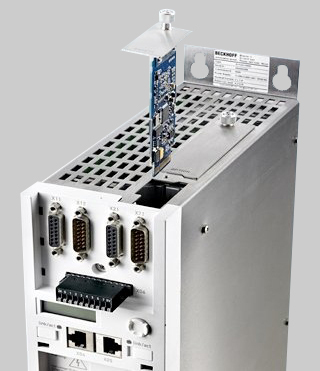 The servo drive will be controlled by the IPC and needs no programming. Attention: Install the safety card without using force!